PAUL CARRACK - 2010 tour dates available on his official site. 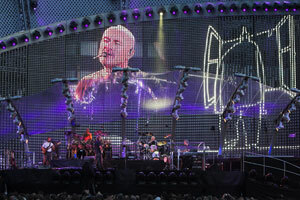 PHIL COLLINS - 2010 tour dates available on his official site. 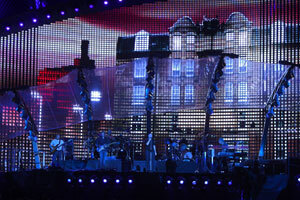 PETER GABRIEL - 2010 tour dates available on his official site. STEVE HACKETT - 2010 tour dates available on his official site. RAY WILSON - 2010 tour dates available on his official site. 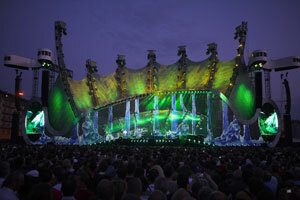 According to the official Genesis site, more than 800,000 tickets have been sold for the European leg of the tour alone! The official Genesis site has confirmed that there will be NO opening act on the European Leg of the Genesis tour. 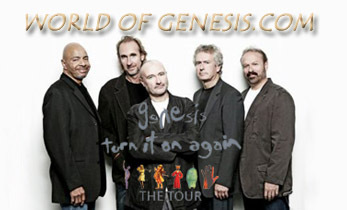 To purchase tickets for the North American leg of the Genesis reunion tour click here for Ticketmaster (except for the second and third Philadelphia show, which are still available in limited quantities through ComcastTix.com). Note that even for shows that are listed as being SOLD OUT that there may be premium "Hot Seat" packages available via Ticketmaster for those willing to pay the price for the deluxe package.